Together with an improved interface and many other enhancements, version 9 now includes a FMECA module which fully conforms to the ISO 26262 and IEC 61508 standards. This enables a full top-down modelling from Hazard Analysis to FMECA in compliance with these standards. Two calculation modes are implemented within these standards: 'Basic Mode' and 'Advanced Mode - Split and Hit'. Fully automatic calculation of ISO-Metrics with newly developed top-down algorithm. No tedious bottom-up categorisation of each individual fault. Software logic of functional network checks all faults for ISO 26262 specifics and categorizes these automatically. Basic Engine with standard FMEA Quantification. Advanced Engine - taking onto account multiple, different end effect severities per failure mode and applying a proportional failure rate algorithm. Optional IEC 61508 engine and MIL-STD-1629 analysis at a mouse click. Calculating failure rate metrics at the failure mode and hardware level automatically. New synoptic to visualize detectability and diagnostic test entries. 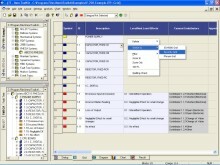 Enhanced GUI for diagnostic test data entry. New components to model safety goals, safety requirements and safety functions within FMECA module for requirements traceability. ISO 26262 hazard analysis has an enhanced, fully customizable grid view (database view) to cover allocation of Severity, Exposure, Controllability and ASIL via combo-fields. 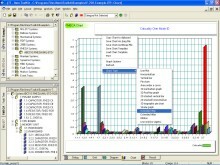 FTA modelling with all failure rate categories as calculated in FMECA. Automatically creating failure rate category 'Super Events'. Automatically creating modular FTA sub-tree to limit FTA size. Automatically producing ISO 26262 FTA conformity results per failure metrics. 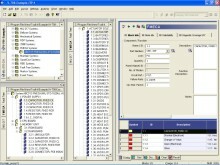 Automatic transfer from database fields between modules (FMECA to FTA) for traceability (i.e. automatic FTA Gate Severity / ASIL identification by traceability to corresponding FMECA Failure Mode). New ISO 26262 / IEC 61508 conformity CCF model (Beta-Plus).